Alan Pardew will now come under a bit of pressure to get Newcastle quickly playing well after a very poor performance at home against Hull City, a team we should be able to beat, if we are to have a decent season this time around. In fact the way we played on Saturday most sides in the Premier league would have left with all three points, because you simply cannot be as lax in defense as Newcastle were after we had gone ahead with Loic Remy’s first goal ever for the club after only 10 minutes. My son Neil and I exchanged some messages at half time, and we both thought the defense looked very shaky, and that we were a little fortunate to be 2-1 up at the half, but we had looked great in the first 20 minutes of the game, showing both movement and pace up front. But it didn’t improve in the second half, in fact it got worse, and Hull equalized just three minutes into the second period, when Ahmed Elmohamady headed the ball home from a free kick and he was completely unmarked in the penalty area. Where was our defense? And Papiss Cisse is going through a terrible time of it at the moment with no goals in his last 10 games, and he looks only a shadow of the player who terrorized Premier League defenses when he first arrived just over eighteen months ago from SC Freiburg. If we keep letting ourselves down in games we should be winning, then Alan Pardew will need to take a hard look at the personnel, especially in defense, and we have players like Mike Williamson and Steven Taylor, who’s out injured at the moment, who have vast experience playing in the Premier League, and they should be given a chance. We have some strength in depth this season, and the manager needs to use it – if the first teamers don’t get the job done – which they didn’t do on Saturday with a display that simply wasn’t good enough. When a team gets booed off the pitch by a Newcastle crowd, they usually deserve it, and that was true on Saturday afternoon. we did do well at villa but agbonlahor missed a sitter he would have scored 99/100. Sunderland have sacked their weekest link our board should do the same and sack Pardew NOW before we get any more of the same rubbish. I’m with you. Our weakest link is without a doubt Pardew. The Sunderland board is doing what I want our board to do. Admit a mistake and get rid of it. That is ambition, something we haven’t seen for a very long time! Am not a fan of sacking Managers for no Reason but Pardew needs too look at himself, Brining Tiote on with 5mins too go when u need too score a winner & moving ur best player Anita too Right Back surely Sammy would have been a better Attacking Option. exactly…just grow a set, admit you got it wrong and bring in a good manager. There are so many managers who play in the modern, attacking, passing way in spain, portugal, italy, germany, poland….we must get a manager from this region who knows what they are going. Look at swansea with laudrupp, he has been a revelation for them, took them up a few levels. there is no way we would go to valencia and outplay them (even if they had 10 men). Can u hand on heart say Ashley would hire one of these continental managers? Or that he wants one? A new manager with a new coaching crew would change the Toon into a top half, maybe even a chance of Europe team. The owner and board need some balls and do what is right for the club and in the long term for Ashleys pocket. The new manager would get rid of dead wood, i.e. 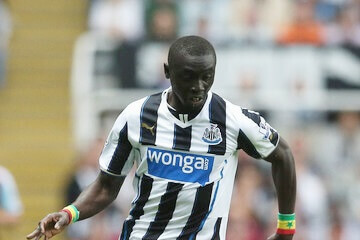 Shola, S Taylor, Williamson, Obertron, Jonas freeing up some wages to buy in January.